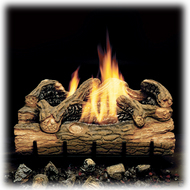 Monessen Charred Hickory ventless gas logs are an affordable log set that gives you great look and versatility at a great price. 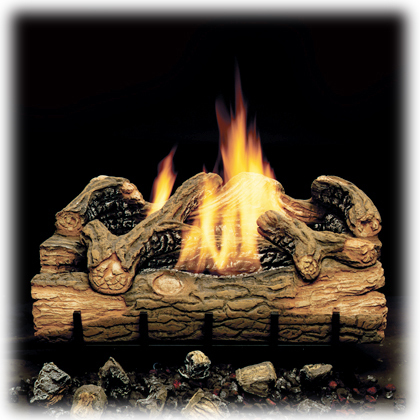 Inspired by nature, this ventless gas log set is handpainted and constructed out of ceramic fiber which reflects heat better allowing for better room-heating quality. Superior craftsmanship, great yellow flame, and the advantages of a vent free installation make it a perfect way to add ambiance and warmth to any home. The Charred Hickory Manual Control Log Set is available only in an 24" size. They actually look much better than they appeared online. They are lightweight and easy to manuever. It was such an easy install (less than 40minutes), great logs.